USB flash drives are so inexpensive now that everybody has one. We use them to store family photos and videos, important documents from work, and just about any other type of file that we need quick and easy access to. But what if you lose your USB flash drive? Or it ends up in the wrong hands? USB drives lack the password protection of cloud storage, so how can you be certain that your private data is not being accessed by meddlesome individuals? Luckily, with the help of the BitLocker Drive Encryption utility in Windows 7, you can secure and protect your USB flash drive with 3 simple steps. Although BitLocker can only be enabled from Windows 7 Ultimate (or Enterprise), you will be able to access the drive from any Windows 7 system. Check “Use password to unlock the drive,” and enter your desired password. Choose whether you would like to save a backup copy of your recovery key, or if you would like to print it. 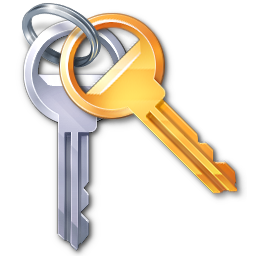 Your recovery key allows you to recover the drive in case you forget the password. If you print it out, be sure to store it away from prying eyes. Click “Next,” then click “Start encrypting.” That’s it! The time it takes to complete this final step of encryption depends on how much data you have stored on the USB drive. When the process is done, your drive is secure! Now, when you connect your USB flash drive to any PC, you will have to enter your password to access any files stored on the USB drive. ‹ What Do Windows Registry Cleaners Do?